Classic European Facial The classic European facial is an essential treatment for any type of skin. The focus of this treatment is to clean and exfoliate the skin, restore water balance , rejuvenate and improve the skins complexion. The treatment includes the 4 vital facets. 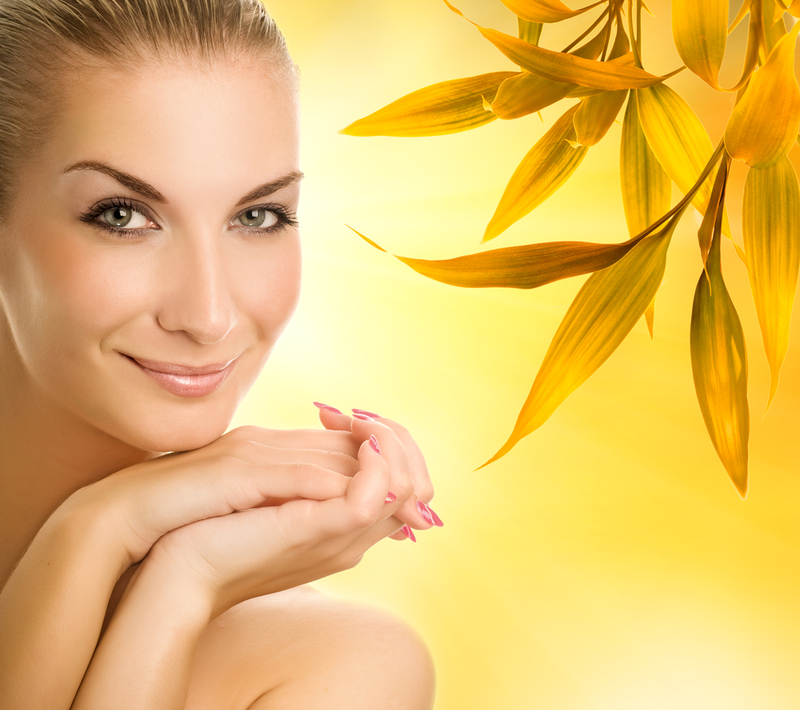 Of attaining healthy, younger looking skin which include exfoliation, massage, extraction and rejuvenation. Some say that beauty is only skin deep. But as a woman, you deserve to feel and look beautiful inside and out. Not just to keep your skin glowing but to also maintain that youthful look. Taking care of your skin and going to a day spa for skin treatments are also ways to celebrate your womanhood. With a nutritious diet, regular exercise and proper skin care, you can have healthy, flawless skin as well as fight the signs of aging. You deserve a break from being a supermom and give yourself some “me-time”. So, why don’t you make it a habit to pamper yourself with full-body beauty treatments with a. Wear Sunscreen Whether you’re going to the beach, or if you are simply going outside to do some yard work, you should wear sunscreen lotion when staying outdoors for 30 minutes or longer at a time. The sun’s powerful ultraviolet A/B rays penetrate through the skin, promoting the formation of wrinkles, fine lines, and early aging — not to mention the fact that sun exposure increases your risk of developing certain types of cancer such as melanoma. The key thing to remember is that you want to choose a sunscreen lotion with a high Sun Protection Factor (SPF), as this number reflects its ability to block dangerous UV rays. Don’t. This non-invasive anti-aging procedure targets superficial and deep wrinkles! The combination of strong anti-aging actives (such as Retinol) with 5 peptides, produce a Botox®-like action that relaxes and reduces expression lines and wrinkles without the injections. Botinol® is a new technology from marine sources that rejuvenates, revitalizes, re-densifies and energizes the skin. The addition of potent antioxidants – alpha-lipoic acid and soy isoflavone – strengthens the dermis and inhibits the breakdown of the cellular matrix (collagen/elastin). This relaxing treatment offers pleasant textures and exquisite essences to deliver an overall sense of well-being. To achieve the full effect of this anti-aging repair, the Botinol Facial is recommended in a series of. Treat your skin to the benefits of Lana’s Signature Facial. Combining the best facial elements available, this treatment delivers results. Relax and enjoy a personalized facial including a deep pore cleansing, exfoliation, steam, extraction, a facial massage, and a soothing mask. The treatment’s oxygenation increases circulation, energizing facial skin cells and encouraging the elimination of toxins. Extractions are carried out as needed. To achieve even greater benefits, other treatments can be incorporated into your facial. Ask for price. This non-invasive anti-aging procedure targets superficial and deep wrinkles! The combination of strong anti-aging actives (such as Retinol) with 5 peptides, produce a Botox®-like action that relaxes and reduces expression lines and wrinkles without the injections. Botinol® is a new technology from marine sources that rejuvenates, revitalizes, re-densifies and energizes the skin. The addition of potent antioxidants – alpha-lipoic acid and soy isoflavone – strengthens the dermis and inhibits the breakdown of the cellular matrix (collagen/elastin). This relaxing treatment offers pleasant textures and exquisite essences to deliver an overall sense of well-being. Ask for price. 90 minutes. $195. HydraFacial™, the newest breakthrough in skin resurfacing technology, is a non-invasive, non-irritating exfoliation alternative to other ablative treatments that produces comparable outcomes in skin rejuvenation, anti-aging, and acne-prone/oily skin treatment. HydraFacial is the only procedure that integrates cleansing, exfoliation, extraction and hydration simultaneously, saving you time and giving you immediate results. With results comparable to more aggressive chemical peels and microdermabrasion – without the discomfort or downtime – clients are finding this new approach a refreshing and relaxing alternative. The exceptional effectiveness of HydraFacial is due to its use of specially formulated serums in combination with a vacuum-based skin abrasion tip. It removes dead skin cells and.